So far there has been no company that can even come close to the success of Apple’s iPad. Many have tried and failed (the latest being HP). However there are now some heavy weight contenders that are expected to unveil their own version of a tablet computer. Google and Amazon are two of the most successful companies in the computer world, and are expected to announce the release of their tablets very soon. In fact Amazon is expected to make their big announcement today. 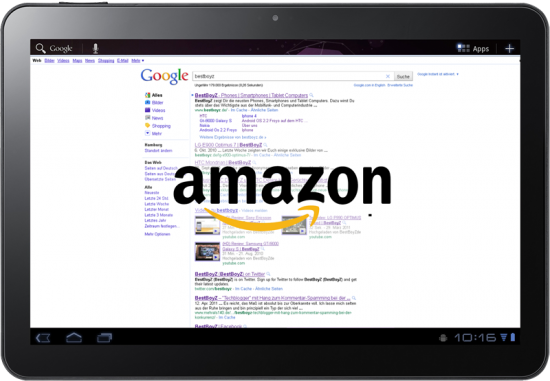 Like Apple, Amazon has a very successful internet marketing machine. Its proven ability to sell a wide variety of products gives it a distinct advantage over previous tablet contenders. Along with the financial resources to sell their new tablet below cost, makes this serious competition for the iPad. In fact this may very well be the most serious threat yet to iPad’s dominance. A lot of people say they don’t understand the comparison between the Fire and an iPad, but I think there’s value to such a comparison. Yes, I KNOW the iPad is obviously a superior piece of hardware to the Fire and it was designed to meet different needs. I need to know EXACTLY what those different needs are. What does that extra $400 dollars buy me? I would guess at least half the people reading reviews about the Fire want to know how it compares to the iPad, EVEN IF THEY ALREADY UNDERSTAND that the two are targeting different demographics.